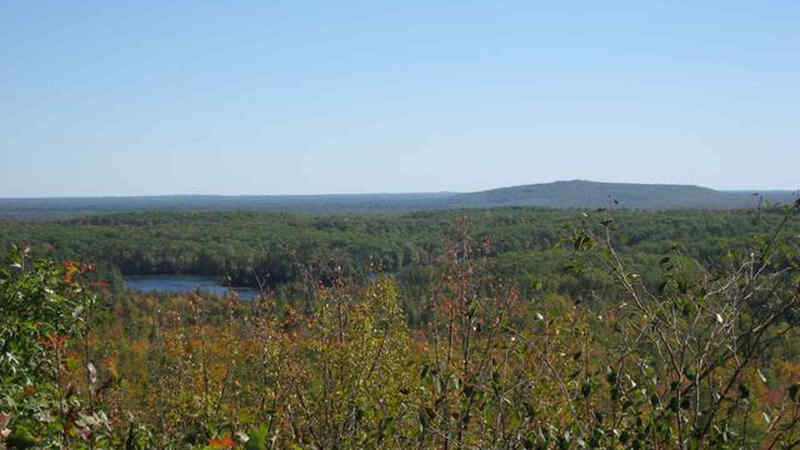 McCaslin Mountain Campground is ideally located on the border of the Nicolet National Forest in Wisconsin’s northwoods. We offer a variety of camping options in our wooded campsites, all with water and electric hook-ups. Whether you are pitching a tent or pulling an RV, we have roomy sites to accommodate your needs. Our modern shower house offers flush toilets and hot showers. If you are looking for an extended stay, we also have permanent RV sites that can be rented on an annual basis. If camping isn’t your style, we have a 2 bedroom cabin available for weekly or daily rental. Our cabin is fully modernized and can sleep 6 adults comfortably We also have a mobile home court if you are looking for a more permanent place to settle in. There are plenty of activities to entertain your family while staying with us here at McCaslin Mountain Campground. Enjoy a round of mini-golf on our 18 hole course. We have a variety of playground equipment for the youngsters and there is a refreshing water slide for those hot summer afternoons. The Camp Store at McCaslin Mountain Campground has you covered with camping supplies and grocery items as well as a selection of clothing. There is a snack bar offering hot and cold food and liquid refreshments including hand-scooped Cedar Crest ice cream and novelty ice cream bars. Several video games are available in the Camp Store for your amusement. For the avid hunter, we offer Guided Hunts for bear, turkey and deer (gun and bow). McCaslin Mountain Campground offers direct access to local ATV trails in Oconto County, plus we are close to trailheads in Forest and Marinette County for those who want to trailer to these other locations. The McCaslin Mountain Campground borders the beautiful Nicolet National Forest on the western edge of Marinette County in northeastern Wisconsin. Our location is ideal in any season for the outdoor enthusiast. Marinette County boasts the most miles of trout steams of any county in Wisconsin and we are also just a short distance from the newly established Governor Thompson State Park and the Peshtigo River State Forest surrounding Caldron Falls and High Falls Flowage. In addition, there are over 60 small lakes in the surrounding area to please the most avid of fishermen. Just to our west, Oconto County and the Nicolet National Forest offer similar recreational opportunities. Popular activities in this area include fishing, hunting, boating, canoeing, kayaking, whitewater rafting, and horseback riding. Snowmobiling and ATVing are also popular in this area. McCaslin Mountain Campground offers direct access to local ATV trails in Oconto County, plus we are close to trailheads in Forest and Marinette County for those who want to trailer to these other locations. Come and explore Wisconsin’s northwoods and see all that we have to offer at McCaslin Mountain Campground.